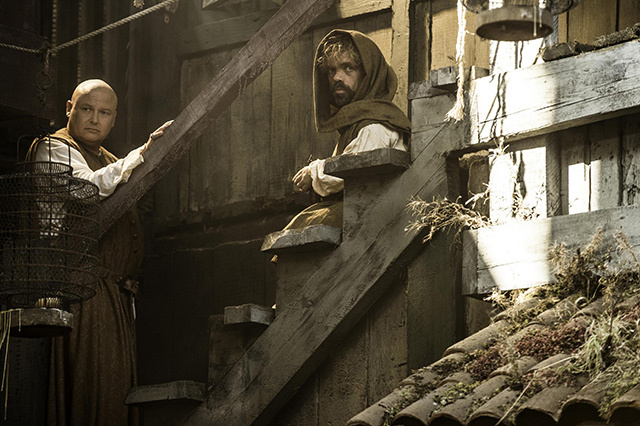 Has Game of Thrones “Lost” Its Way? Anyway, welcome to another edition of Channel Chaser. I just thought I’d express my disappointment right away so there’s no doubt in your minds as to how I felt about the end of this season of Game of Thrones. And it’s not just that it wasn’t a good finale episode, either: this whole season, in my view, has been a total bust for a number of reasons. To me, Game of Thrones is starting to seem a little like Lost. Too many plot threads left unexplained or unexplored, too little characterization for the main figures as a result, and an increasingly contrived and confusing storyline that gets sillier and less satisfying with every passing episode. I honestly don’t know how it got this way. 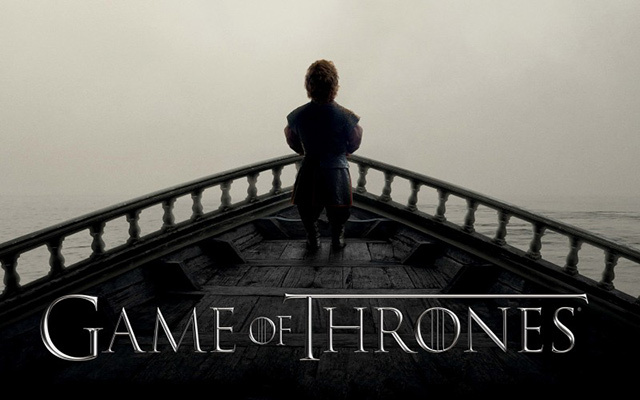 As early as last season, I was still a full-on Game of Thrones fan, waiting with baited breath for every new episode. And since I’ve read the books and know most of what’s coming before it actually happens, you can appreciate what a statement that is. While I may have known the storyline in general, the show always kept me engrossed because it handled the massive plot twists spoiled by the books in slightly different and always visually impressive ways. You suspected what would happen, but you were never really sure up until the last second that it would. The surprise factor was what kept this show alive, and now it just seems like that’s gone. Just how did I not like this season, or this finale? Let me count the ways. As I said before, I’m a fan of the source material. So of course I knew Jon Snow was going to get stabbed. And I knew that Circe’s public shaming and humiliation was coming. I really looked forward to the latter, but not so much to the former given my own personal feelings toward the characters. But what I hated about the show, especially in Jon’s case, was how completely not subtle the writers were about it. In the books, you got a sense that there was maybe some possible dissent in the ranks of the Night’s Watch, but their turning on Jon was still pretty shocking. In the show…not so much. With all those death glares Snow was getting, and all those talks Sam had with Olly, you pretty much knew Jon was going to die about three episodes ago. As a consequence, the moment itself, at least for a book reader like me who knew it was coming already, lost all the power it might have had. Similarly, I know what happened to Stannis hasn’t been in the books yet, but he totally deserved what happened to him, and what was worse, I couldn’t even enjoy it. I was really starting to build some sympathy for Stannis in the past few seasons as he matured into more of a leader, but when he threw every single bit of development he had out the window to sacrifice his daughter (another horrible decision by the writing staff, by the way), I lost any kind of understanding I might have had for him. Not because I didn’t think he would do it, but because they specifically spent the last several episodes building up how that was just a line he wouldn’t cross. As such, Shireen’s death was a cheap shot by the writers to try and shock the audience, and I didn’t like it one bit. And then when Brienne finally tracked Stannis down after his routing by the Boltons, I thought at least I would be happy Stannis got what was coming to him for such a betrayal, but I wasn’t. There just wasn’t enough build-up either way to get me to care anymore. As for Arya and Dorne’s storylines this season, you could very well have just forgotten any of them even existed until this last episode and you’d still probably like them better that way. By the way… Myrcella was poisoned? Huh? I’m really, really hoping that was Doran Martell’s endgame to get back at the Lannisters (as his awesome character has been terribly short-changed this season), because if it’s just Ellaria’s petty revenge, especially after her promise to be loyal to Doran, I’m going to be pissed. Finally, Danaerys. If you really think she’s in any sort of danger from that Dothraki horde, you’re kidding yourself. Yet another stale faux-cliffhanger just to keep the plot interesting. I get that the whole point of Game of Thrones is that you never know who’s going to die, but I’d say Danaerys is a relatively safe bet, as is Tyrion, to survive to the end. I mean, it’s called A Song of Ice and FIRE. Come on. Then again, I was pretty sure Jon Snow was the ice in that equation, and it’s not really looking that way right now. In fact, if Jon Snow really is dead, then it’s going to blow a lot of my theories about the story as a whole. But strangely enough, I just don’t care that much anymore. 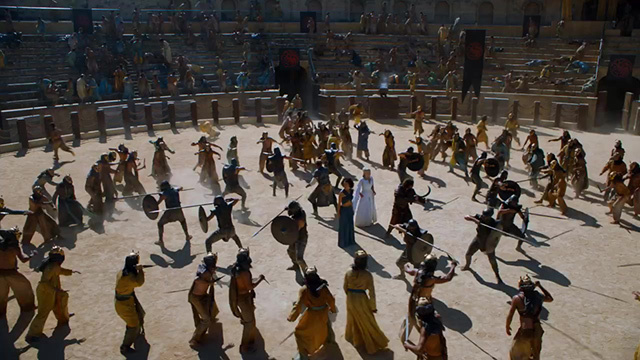 I’ll admit there were some bright spots in the finale: Tyrion and Varys in charge of Meereen was pretty cool, as was our introduction to Qyburn’s monstrous creation, Ser Robert Strong. Also, Myrcella’s death does give Jamie Lannister another strong reason to build some character, as he’s one of the best in the series right now in my view. But those few shining moments were far outweighed, unfortunately, by just how forgettable and full of filler this season actually was. Seriously, if all you watched was the finale, you probably didn’t miss much. And whenever the show attempted go off-book, from Sansa’s assault by Ramsay to Stannis’s fate or the overall horrendous Dorne storyline, it just seemed to lose direction even more and get that much worse. For you loyal book fans like myself, keep in mind that we haven’t even talked about House Greyjoy recently (they’ve got a pretty big part to play still as well, in the show at least), as well as the no-show of Ariane Martell as a TV character (someone I think the whole Dorne story was sorely lacking without). Also, is anyone else wondering where the heck Littlefinger got to? Like I said, bad writing. But despite my cynical ways, I’m still hoping Game of Thrones isn’t totally going “Lost” on us. It’s definitely fallen from my radar as the best show on TV because of this season, but it’s still better than a lot of things. Additionally, one bad season out of five is a pretty good track record. But it’s going to take a lot for Game of Thrones get back on top of the pack after this mess of a year.